Panel Glides are designed as a modern alternative to Vertical Blinds, they combine the elegance of curtains with the functionality of blinds. 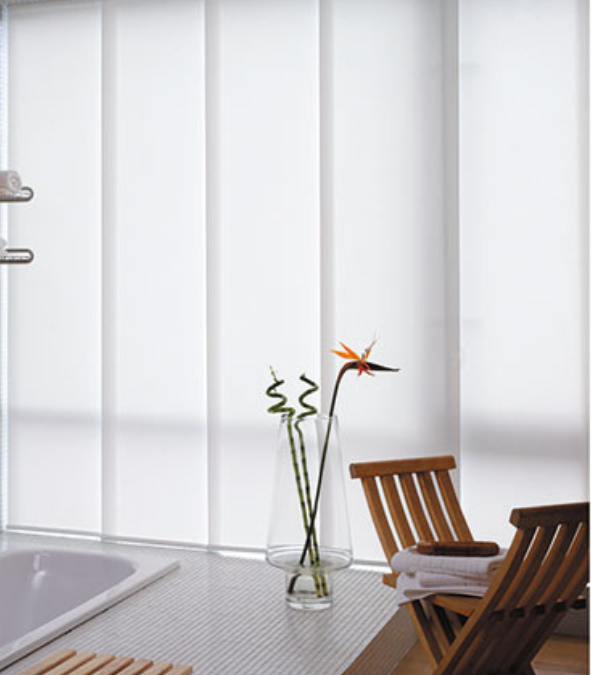 The fabric panels move effortlessly through multiple tracking channels with the use of a smooth operating wand that eliminates the need for chains and safety devices and enhances the sleek elegance of this simplistic blind. Window Imagery can assist you with fabric choices and colours to match your home or office décor.